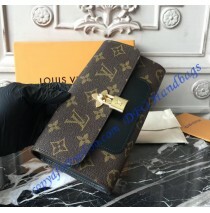 There are ordinary, one of a kind type wallets and there is the Louis Vuitton Monogram Canvas Flower Wallet. The first thing you are going to notice is the monogram canvas. It is the main material here and it is something that makes a huge difference in general. The inside of the wallet comes made of leather and in red color. It is partially exposed so it looks even better. Besides the color and the canvas, we can also see the impressive padlock, which was borrowed from the archives. It looks impressive and it is a traditional piece of design. It is a must-love or hate thing here. Luckily, we liked it a lot and chances are high that you will as well. Inside you will be able to use 12 credit card slots, 2 gusseted compartments and a single pocket for coins. But, here we can also see two additional pockets and an exterior one, which is a nice addition. Add the gold colored metal pieces and you get a perfect wallet for any occasion you may have in mind. 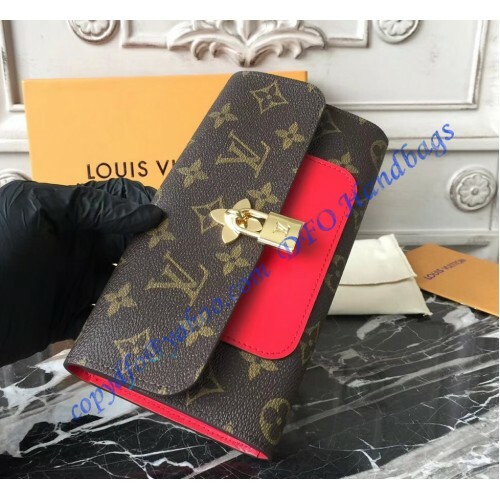 Obviously, the Louis Vuitton Monogram Canvas Flower Wallet is made to impress, so this will be its first and main purpose. At the same time, we can see that it is more than just popular and it comes with all the essentials you are going to need, ever. But, if you really want to stand out from the crowd, then this wallet must be seen in your hands, in your bag or next to you. The Louis Vuitton Monogram Canvas Flower Wallet isn’t something that you will see on the street all the time. It is designed to be rare and it is definitely going to stay rare as long as it is available.